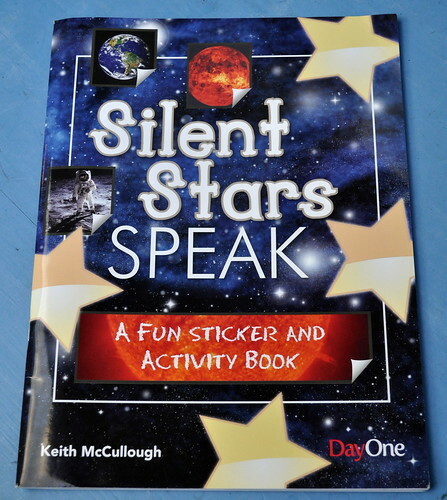 Sunday Snippet: Silent Stars Speak – A GiveAway. 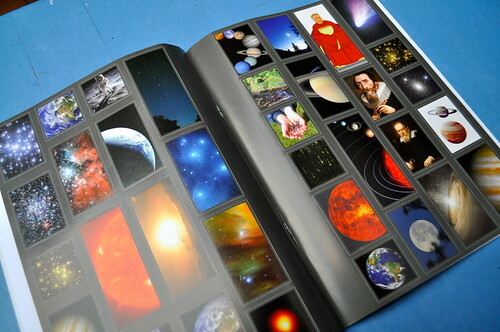 This is a book that provides a whole heap of information about the Universe without pages and pages of notes… Oh no, this book is cleverer than that!!! 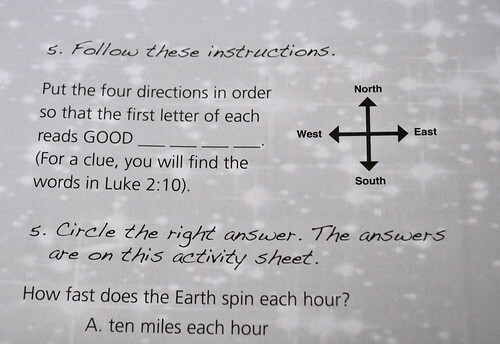 It is packed with quizzes and little facts and puzzles and mindbenders. As you play your way through the book you cannot help but learn about the universe and all that is in it!!! 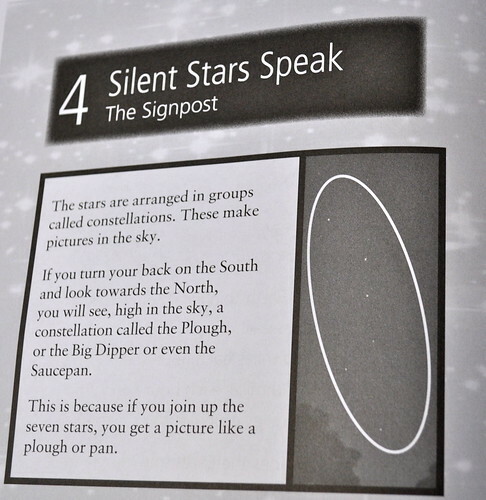 There is a chapter on planets, constellations, comets and what about the Christmas Star – was it really a star or not. And so much more. It really makes an interesting read!!! At first glance it is all black and white, no snappy color… but then you discover the reader provides the color!!! There are coloring instructions and places to draw through out the book and a double page of colorful stickers in the center. This book is not a trivial book and my pre-schoolers would find it too difficult without help, but my beginner readers in Grade 1 and 2 would so love it, so much so that I didn’t leave it lying around. The book requires quite a bit of searching through the Bible for verses to discover the answers and would make a great Bible Study book for these guys, and once they had finished filling it in they would have a fabulous reference book. My older students vanished and read it from cover to cover as well and I think given the chance they would have filled it in themselves!!! How Fast Does the Earth Spin Each Hour? Is a day on Venus shorter or longer than a day on earth? How long at the most does an eclipse of the sun last? What is it called when two planets draw so close to each other that they produce one brilliant light? How long is Haley’s Comet’s vapor trail? Hale Bopp is a comet that was seen in 1997 and previously 4026 years ago, in the time of which great biblical father? What is another name for the dog star? Why can’t we feel the earth spin? Just thought you might like a morning quiz, no pressure!!! You certainly don’t have to answer to enter… the quiz is just for fun!!! I will pop the answers up with the GiveAway Winner next week… Otherwise this GiveAway works in the usual way, comment before the end of this coming Sunday, 12 February 2012, and we will draw and publish the winners next week! – I won’t respond to your comments as I do on our other posts because I don’t want to be included in our own giveaway. As usual I have to thank CBD, our GiveAway book suppliers of more great books. Our GiveAways are open to everyone: If you have won a GiveAway before never fear – enter away. If you live on the far side of the world – enter away. Postage takes forever from here but eventually it should get to you! Good luck and get commenting!!! Not sure if I have to answer the questions to qualify, but I do want to say this book looks very cool. Right up my older son’s alley! wow – looks great. Have a 7 yr old who just got a telescope and is fascinated by all things astronomy!! Mmmm…. seems we need the book to answer all these questions. Thanks seven for another great book. We would love to stand a chance to win. Looks like a lovely book for our boys! Thanks for the chance! My kids would enjoy this. Now this looks like a fabulous book. I have two boys mad on Space and the stars. 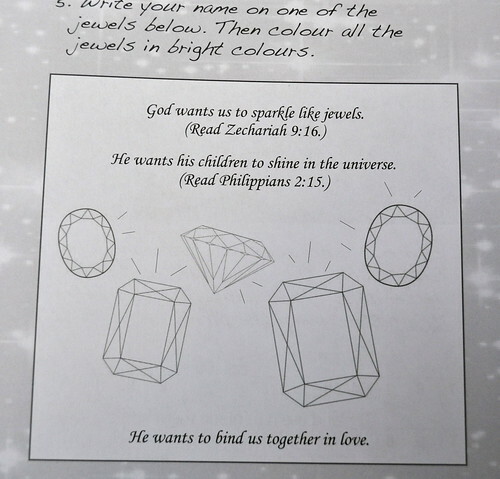 Great quiz, my boys would love this. Please enter me too. This looks like a great book! I hope we win, but I might have to buy the book myself if we don’t — my boys would LOVE this. This book look like so much fun! My children would LOVE this! Oh, hoping! We are really into stars right now. What a fabulous book! Even if I don’t win–thanks for bringing it to my attention. Wow..what an amazing book…please enter me into the giveaway! what a great way to expand kids interest. Would be a lovely, fun book to win. This looks awesome! Every time you post a give away I just head over to Amazon and put it on my wishlist. Sign us up, please! This book looks great! Please enter me – my kids would just love to have this book! This book looks wonderful, my son would love to have one like that. Please enter me. This looks like a great book to explore! My younger son loves to work through these kinds of books. Thanks! What a fantastic book for the explorer! Summer nights are perfect for this type of book.